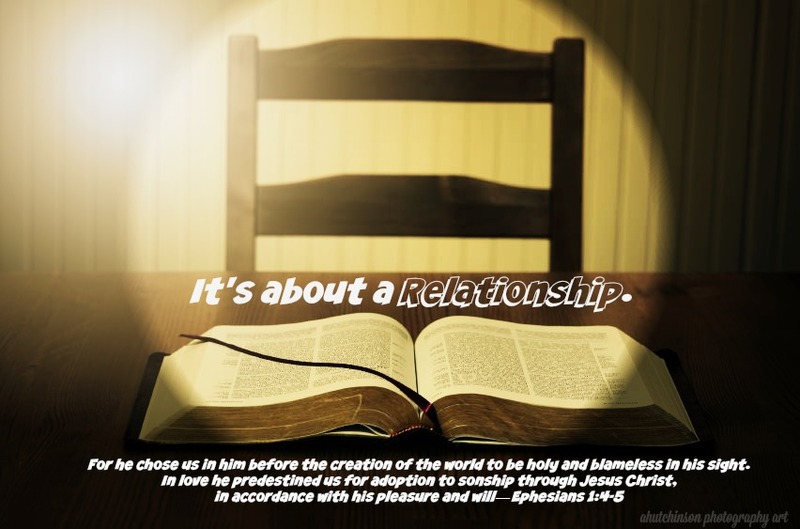 A Relationship with God * His Grace. 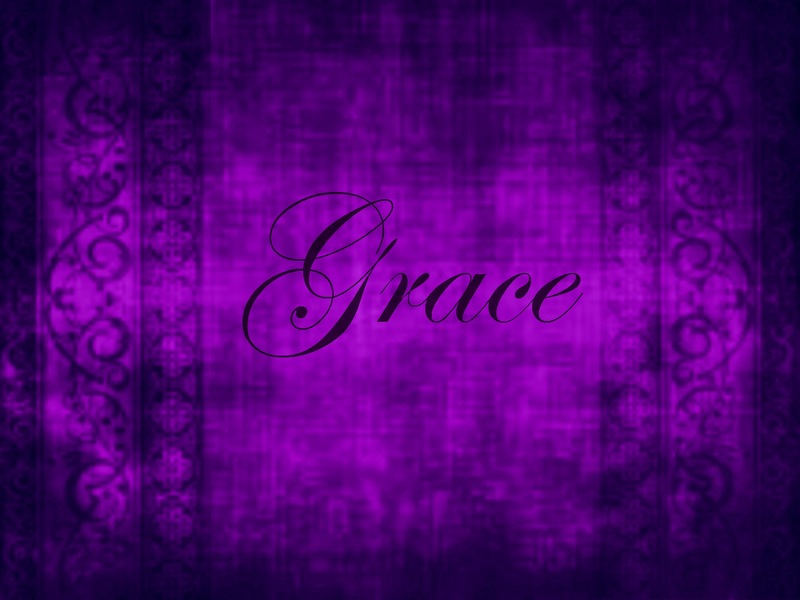 Grace is a huge subject and one I am very careful with. Why, you ask? Because right now Grace is the “BIG, NEW” thing in Christian “revelation”; and I am concerned about how the message of Grace is being taught in some circles. 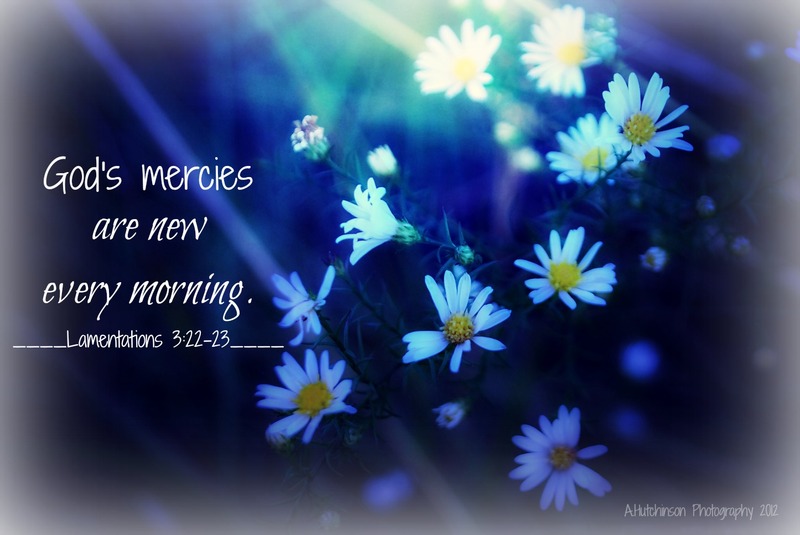 Quite frankly there is NOTHING new about God’s grace and God’s grace is BIG! Grace holds the same tremendous message as it did when Jesus came here as man, and so much more! Jesus was God’s grace. Jesus is Grace. Jesus extends Grace. We were extended God’s grace in the man of Jesus. We are to extend God’s grace to others. We are to show God’s grace in the fruit of our lives. 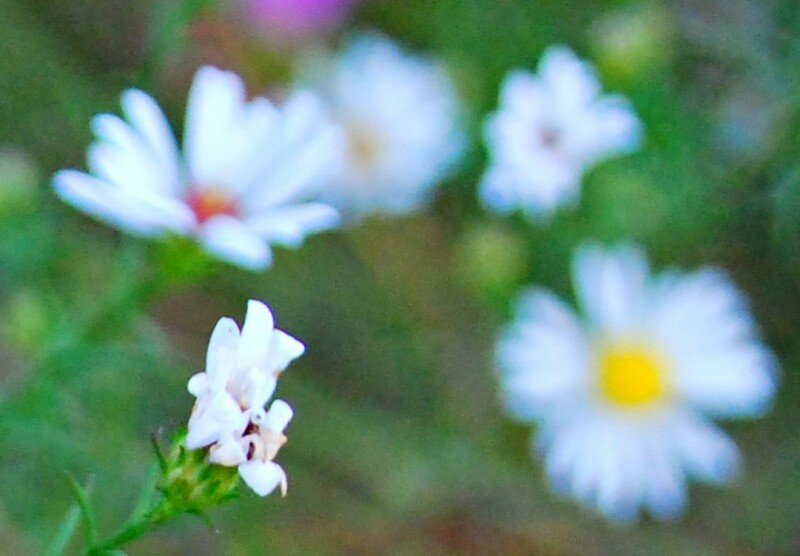 See … there is so much more than we can fathom in one small and beautiful word. Like I said Grace is so many things. 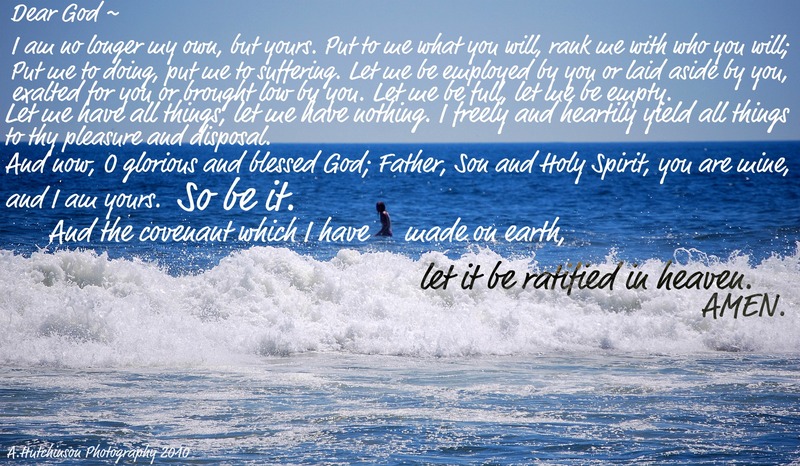 Such a broad canvas, but it began with God and His desire for relationship … with us. Grace was sent and Grace chose us before the creation of the world! Do you realize what that means? God created this world for us. So we would have a place to live and be with Him! By His Grace, and for His pleasure and will He created us to be Sons of God! And to secure that in it’s most pure and holy form God sent His only Son for us. That’s it. That’s the Grace we are all talking about. We didn’t deserve it. We don’t deserve it. It’s simply that God loves us. By God’s grace He loves you. Right where you are. And too much to leave you there! It doesn’t matter what you’ve done, where you’ve been. He chooses YOU. Right Now. Right Here. Have you accepted the gift of Grace? Have you accepted the Grace that is Jesus Christ? Do you believe that He died on the cross for your sins and sickness? Do you believe that He rose again to reconcile God’s relationship with you and for you? If your answer, today, is YES, then you’ve entered into the Grace. The Grace that is the Love of God. Jesus. Welcome to the journey, there is much to do and learn, and you are not alone. There are many of us here with you … come let us walk with Jesus. Thanks for reading my friends. And blessings to you all. Categories: A. Hutchinson - Writer, A.Hutchinson Photography, A.Hutchinson Photograpy Art, Covenant, faith, God is Love, God's Plan, Grace, Guidelines for Living, Intentional Living, Living on Purpose, Living Thankful, Love, My Journey, Relationship, The Character of God, The Cross, Truth, Tuesday at Ten | Tags: Christ, Christ Jesus, Christianity, Faith, Favorite Scriptures, God's Word, Grace, Intentional Living, Jesus, Life, Lord, My Journey, Peace, Relationship | Permalink. Today, Day 4 of my year of thankfulness I find that God is doing something dynamic in my family. I’ve learned this year … specifically the last few months, a new importance of family. I’ve learned that life is much too short to keep waiting to tell them that you love them. It’s too short to not forgive; think about it, we probably don’t even really remember what made us pull away due to having exaggerated it in our minds. Awhile ago I wrote a very dark poem/short story about resentment personified, essentially it described what resentment does in a spirit when it is given free reign. And in the world today resentment has free reign, it’s sad. And yes, I indulged, for many, many years. But this year I have doubled back and have begun to forgive and kill that resentment. It’s all about perspective. Family … ofttimes it is within the family that this resentment breeds, generation upon generation. Family … the remedy for this generational curse is Forgiveness! And thanks to our Pastor taking us completely through those books as a study, over the last 3 years, I know that in those days, so long ago, the families were just like us! Fights, dysfunction, wars and deaths and addictions and adultery … we’ve really not come that far. They were humans and functioned as such … which is why God put aside His divinity and entered into a virgin womb to become like us … so that He could reconcile us back to Him! He did this … He grew in a woman to be born into a fallen world to understand and love us, unconditionally. And so that we would choose Him … it was all for us. It was all for love and family. He came for me, for you, in my brokenness, in my rebellion and dysfunction and He lovingly coaxed me to Him. Stood by me in my sin and held me in my tears … He held me while I lay in a tight fetal ball, abused and neglected and He held me in the dark and horrible nights after I had begun to seek that same abuse and neglect outside of my family. The least I can do is Forgive. And then I come to tonight … after forgiving so many, to realize I must teach forgiveness to my children. I must teach them to forgive so that the remnants of bitterness and resentment leave our home permanently! And then God … knowing that I was reaching this point in my growing, in my maturity of my Christianity, He blessed me. OM Goodness, the joy! I quietly said “Ok.” and just as quietly thanked God and Jesus and just rejoiced in my heart and spirit. And it was this night that a very dear friend brought the message of God loving us no matter how we felt about ourselves, no matter what we’d done or were currently doing! And my boy actively listened. For this I am eternally thankful! I don’t know if God is blessing me directly for the forward movement in Christ this family is taking. I do know that He is actively reaching my youngest and healing has begun. I do know that when we begin to obey the direction of the Holy Spirit within us big things begin to happen in our lives. We are His children, He is our Father, we are His family … and what great love He has lavished! Being His children gives us context, knowing who we are in Christ gives us understanding and being in the family tree gives us hope. I’d like to recommend this bookto you: The Greatest Gift by Ann Voskamp. 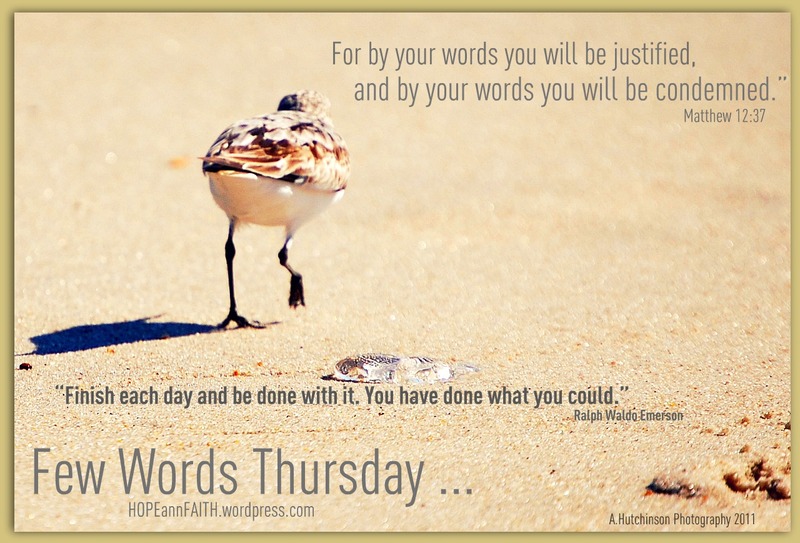 Categories: AHutchinsonWords | Tags: Christ, Christianity, Forgiveness, Holy Spirit, Jesus | Permalink. Last month was 30 Days of Thankfulness in November on Facebook. I managed not to miss a post, even if I posted the next day! 🙂 And round about the second week I realized the concept of habit again; you know the one: anything done for 21 days becomes not only a habit, but a routine. And I was inspired to carry on with the recording of thankfulness on HOPEannFAITH and start it on December 1st! Appropriately the first day of the Season of Advent. Well, if there’s a habit in my life to perpetuate it definitely should be the act of recording my thankfulness and blessings. What do you think? And then today, December 1st., a friend, thanks Mike 🙂 reminded me of the 21 days to routine … confirmation? I think so. So what am I thankful for … I’m thankful that with all the seeming ciaos in our lives; with Don being ill and what comes with that that God has actually slowed down my thinking about life. In all the hubbub I am seeing all that is wrong with the goings on in the world today … too much stuff, not enough time and a distancing from the things of God. I am thankful for the slow down … which allows me to think about life and God and where our life and family are going with all of these internal God changes. And while we know the changes are God they are not comfortable; I mean how can cancer ever be comfortable. Yet, we are okay with the stretching and pulling … we are working this assignment from God. And in our obedience we are seeing reconciliations, we are able to sacrifice what we want for another more easily than before, and we are seeing and giving forgiveness to those we have held at arms length or more for years. It’s really quite exciting. The assignment is to slow down and wait on God and to listen and act upon His direction. Then last week I started thinking about how Christmas starts before Thanksgiving in the world we live in! Sadly society is definitely into gratification, much more than gratitude! They go from teaching the children to go house to house for candy … definitely a meme practice, while having a much deeper and more sinister meaning that tells us everything is about us and we should have what we want when we want; right to Candy Canes and a fictitious fellow who brings presents one night a year … again, everything is for me! And that has not a thing to do with Christmas, as we well know. 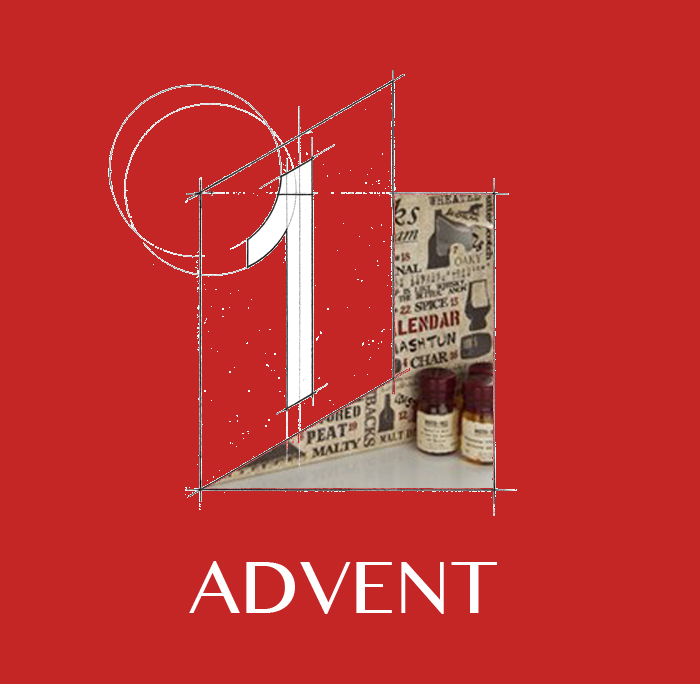 So here we are, well into December 1st 2013, the first day of Advent! You see it is not Christmas yet. Christmas is the celebration of the birth of our Lord and Savior Jesus Christ; and that is not celebrated until the 25th of December. Advent is what we are in on this day and the next 23. Advent means “the coming” or “waiting” … for us Christians Advent is the act of waiting for the coming, again, of our Lord Jesus Christ. Today, we in Hutchland (what I call our home) will be slowing down, even further, for the preparation before the celebration of the birth of our Savior. We plan to focus on the entire season of the celebration of the birth of Jesus the Christ in his First Advent, and the anticipation of the return of Christ the King in his Second Advent. For this pull from the Holy Spirit to slow down and focus on the Advent Season I am thankful. And for you, my faithful friends, I am thankful. Categories: AHutchinsonWords | Tags: Christ, Holy Spirit, Jesus | Permalink. I found myself posting that yesterday! So much like world thinking and it isn’t where I should be, how I should be responding to the ever compounding hits this family is taking. Yet we endure, we rise to Praise God again today. But it is disconcerting to see that when I am tired and worn down when another hit comes I respond from the flesh … I guess this shows me how much more work God and I have to do. Though, I guess I should be encouraged that I didn’t actually throw in the towel and toss it and the bathwater, with the baby, out the window. Happy that I didn’t blow my cork and just go straight back to the BC (before Christ) of who I used to be. God is guarding our hearts and our minds through Christ Jesus. This is my testimony today … our relationship with Jesus has secured this promise in our life, today. It is how we are enduring the ever increasing temperature of these trials we are going through. Praise God. We will praise Him in the storm! Categories: A. Hutchinson - Writer, A.Hutchinson Photography, Believing God, Sadness | Tags: Christ, Christ Jesus, Christianity, Jesus, Peace | Permalink. It has truly been a mean week; illness and hospitals, family life and home. Just one big whirlwind of one step in front of the other while praying and trusting God to guide me through, while being cradled in a grace bubble. It’s amazing … I’ve been in a grace bubble before but remained numb and unable to function except by rote. Now, understanding more about God’s character and love for me, I’ve learned to be able to function in this peaceful place of His! It has changed me … changed how I deal with stress. Today the dam broke … a household situation arose and The Hubs, who was already bearing his silent weight in stress, had to come home from work (after just over an hour) to ensure things were safe. Just one more thing to add to the seemingly endless list of MUST DO … one more straw and the camel is wobbling … and we pray. I look up … that’s where my help comes from [Psalm121] and silently pray from my heart and try not to allow the stress to overwhelm me; while simultaneously worrying about my husband and his honest and true heart for God and whether or not he will revert back, like so many times …. We settle the situation and off he goes back to work only to wait a half hour; and with the biggest, mushiest heart to call me to see if I’m alright … and my heart explodes and I’m thankful for this man of mine, that God gave to me. I settle back and soak in praise … listening to videos in the background as I work, being thankful! 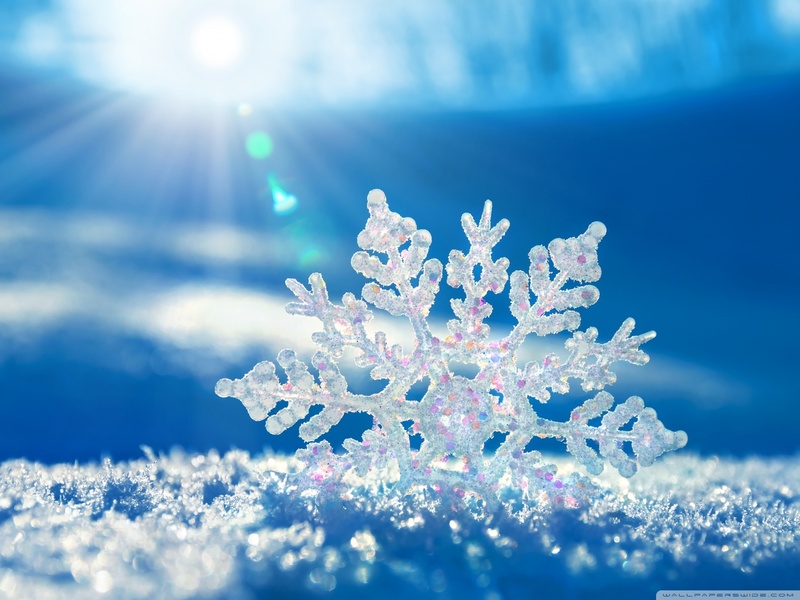 Praising … exulting Him, knowing that no matter what I see, no matter what I hear or feel … He is in control and all that happens is for my benefit because I love Him and work according to His purposes. Categories: A. Hutchinson - Writer, A.Hutchinson Photography, My Journey, the Me He created | Tags: Christ, HEART, Peace | Permalink. But focusing on others in prayer is touching the heart of God! A large part of this 31 day focus for me is praying for others … when we do this God is freed to repair what is broken and tattered within the prayer! I have a son who suffers an affliction that is trying it’s hardest to kill him. And any mother knows that to watch your child suffer is one of the worst tortures known to man. He sat by me, like he never does, and I saw him small again, and I asked if he needed Mom and a single tear dropped as he shook his head while I told him I loved him no matter what … and THE hardest thing I’ve dealt with in a long time (including family issues, tornadoes and uprooted trees and health issues) is having my son be in enough pain to ask me for money to feed his affliction. And as I said, quietly, NEVER! I entered into prayer for my son like no other time. It was calm, it was peaceful and it was continual. As he left, in search of whatever he needed, with that threat that these afflicted souls always leave those who refuse the demon, I prayed hard still. Within minutes he was back, unsuccessful or may my heart be still, having reconsidered, without what he was in search of and he laid down and slept, fitfully slept, my tow headed, blue eyed boy! So I go to bed praying, as throughout this night I will wake to the battle his body and mind is enduring and my reasonable duty to God and my son is to persevere in prayer as my boy perseveres in his fight, and hopefully his prayer. I know from experience that even the unbeliever prays to God in such times. I hope … I pray he calls out to God now. Amen. Welcome to 31 days – the beautiful brainchild of the Nester who inspires us to spend the month of October writing every single day on a topic that might inspire a community. 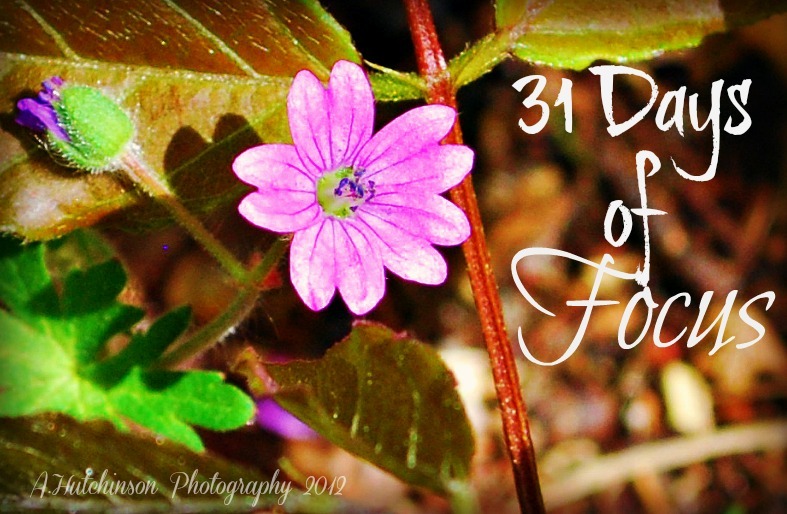 Categories: 31 Days of Writing, A. Hutchinson - Writer, A.Hutchinson Photography | Tags: Bible, Christ, Christianity, Holy Spirit, Prayer, Religion & Spirituality | Permalink.